The cast of the Guthrie Theater’s 2017 production of A Christmas Carol. Photo by Dan Norman. Not all Christmas Carols are created equal. Charles Dickens’ classic holiday tale is something like a Thanksgiving turkey: it gets cut, stuffed, basted, and re-seasoned according to the meal its presenters wish to serve. Is it a farce? A dish sweeping with sentimentality? A cautious moral tale? Cut, slice, dice, and salt to taste, such that what began with Dickens’ short story may look and taste very different. So it is with the Guthrie Theater’s latest version of A Christmas Carol, which retains last year’s set and otherwise seems quite apart in its presentation. The script is still that written by Crispin Whittell for the Guthrie in 2010, but some scenes and actions have been folded away. Much of the cast is new or in new roles, and the caroling that suffused – some would say dominated – last year’s production is now largely absent. 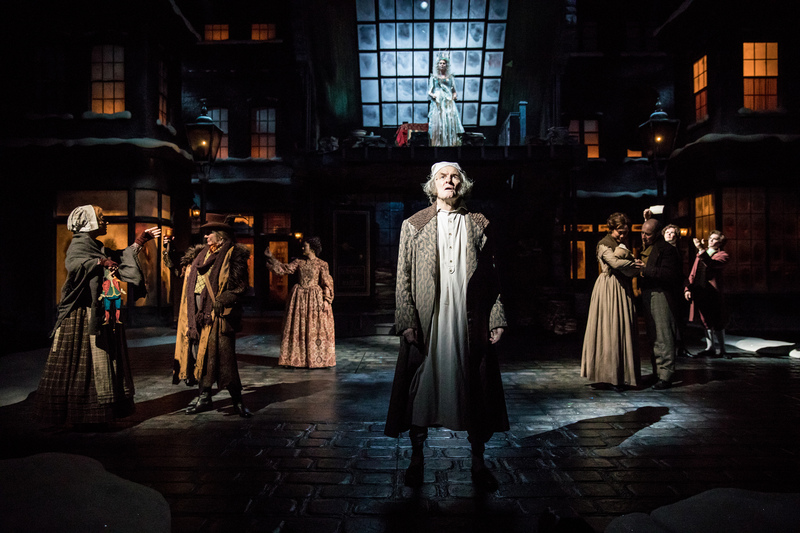 You’ll find no high-pointed debates here – Nathaniel Fuller’s Scrooge is very much more humbug than intellectual, more acerbic than dry – but also less dwelling in sentimentality. Scrooge (Nathaniel Fuller, center) surrounded by the cast of the Guthrie Theater’s A Christmas Carol. Photo by Dan Norman. One result of these changes, enacted under the watch of director Lauren Keating, is that this year’s Christmas Carol flows much faster than the last. Most of the absent or reduced elements do not show, while most of the additions are welcome. An exception is the new profusion of ghosts and glitter, both of which initially spice and then become distracting in their repetitions. The cast is universally strong and used effectively throughout the space, as in Kendall Anne Thompson’s memorable floating entrance as the Ghost of Christmas Past. This time around, Tiny Tim is endearingly played by Sophie Jones; other highlights include Kris L. Nelson’s effusive yet constrained Mr. Cratchit, John Catron’s stoic Marley, and Emily Gunyou Halaas’ wry Mrs. Dilber. Performances are enhanced by the intricate lighting by Christopher Akerlind and Ryan Connealy, and the subtle soundtrack by Raymond Berg. As the Guthrie’s 43rd annual production of A Christmas Carol, this classic slices its way through the Dickens with an enthusiastic new energy. A party around the square grand piano. The Guthrie Theater’s current production features scenic designs by Walt Spangler, costume designs by Mathew J. LeFebvre, and lighting designs by Christopher Akerlind. 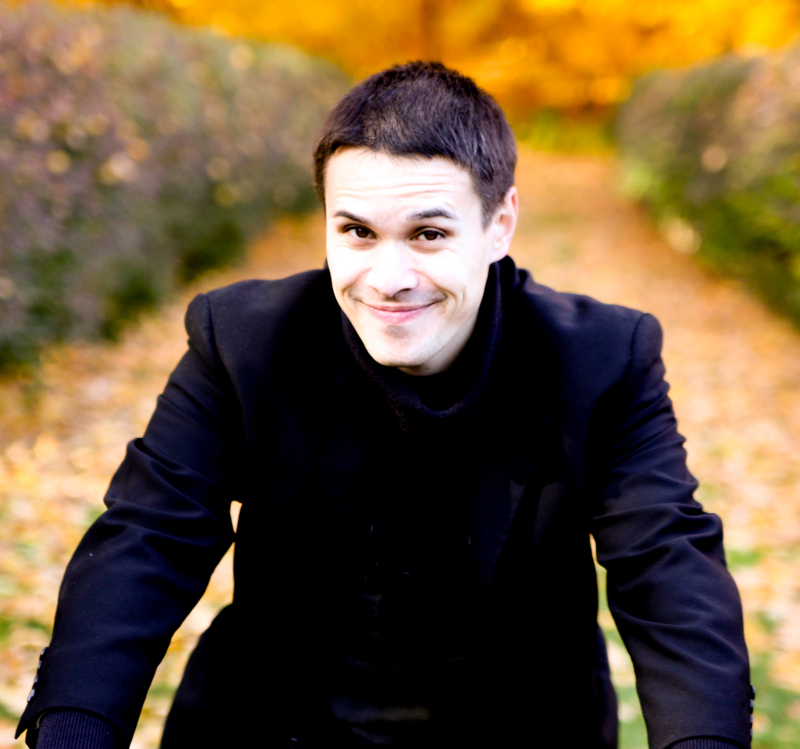 Photo by Dan Norman. 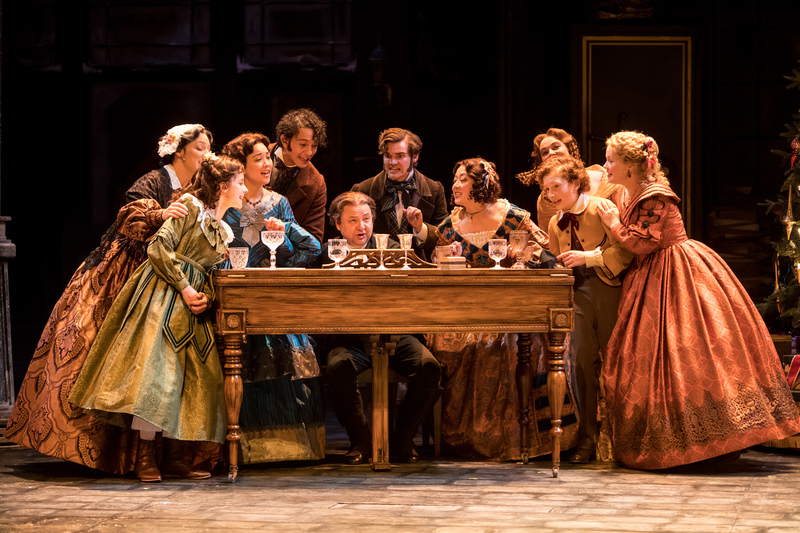 A Christmas Carol plays at the Guthrie Theater in Minneapolis, MN through December 30.